Looks great on the bike, sound is good, I recommend installing the optional baffle. How loud is the exhaust? Can the sound be changed with removal or insertion of component. 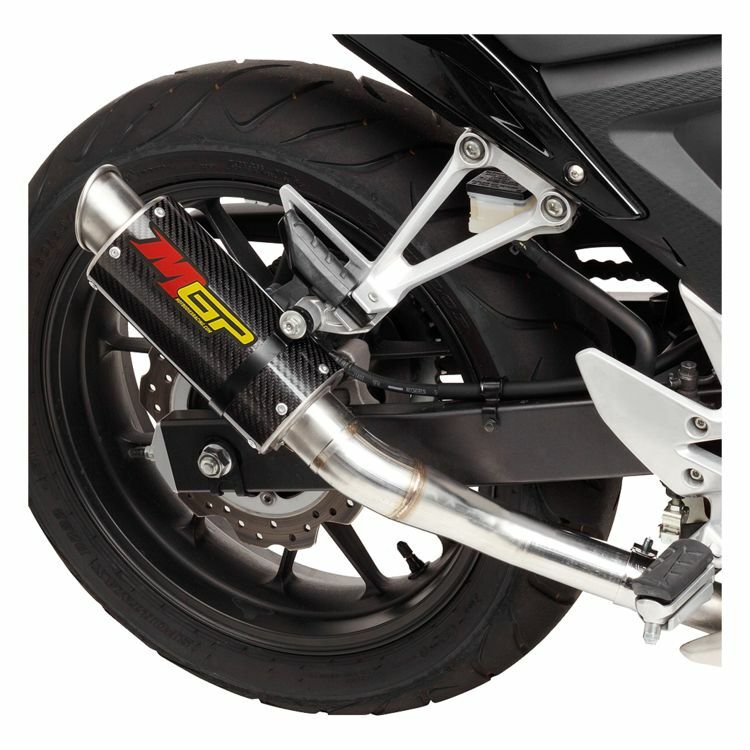 I am looking for an exhaust for my Honda CBR500r. I wanted something that is a little louder than the original Honda exhaust. BEST ANSWER: It's fairly loud when you really get on the throttle, much louder than stock. The thing is my fuel mileage went down after installing this exhaust by about 3 mpg. not a big deal because I was still getting 67 mpg. I installed the optional baffle to quiet it down a bit and my fuel mileage went back up to 70-72 mpg! The sound with the baffle installed is perfect, louder than stock but not too loud. I love this exhaust! it looks great on the bike. I highly recommend this exhaust, great product and the price is right compared to some of the others I was looking at, hope this helps.